Julia and Co: Happy Birthday ! 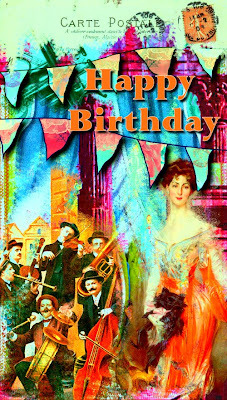 Sunday Postcard Art is 1 year online and thats why this week topic is "Happy Birthday"
Wow Julia this is fantastic. Really colorful card. Love them. het blijft steeds aangenaam om regelmatig op jouw blog te vertoeven ... zoveel moois... zo kleurig, zo kunst-ig. Knap werk. Looks like a great party's going on here! Love the bright colors and the postmarks! Awesome! Gorgeous card; love your digital art. Wow, what a celebration postcard! 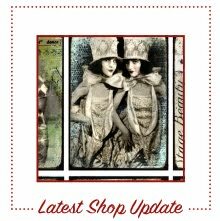 I have just discovered your blog from the Digital Studio Magazine, Oh! I am so inspired by your work. Thank you for sharing. Schitterend, wat heb je dit weer geweldig gedaan, wat een kleurenpracht! !